Kiva Han Gasworks is Australia’s first fully organic, Fairtrade coffee franchise. 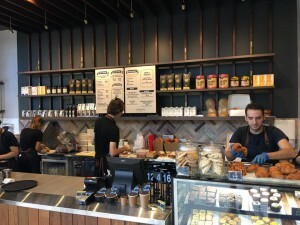 With their first store opening on the Gold Coast in November 2012, the shop-fit features an up-market, rustic fit-out using recycled wood. 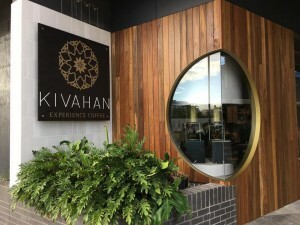 Similar to Max Brennar – who took a popular and well-known product and transformed it into an exciting, theatrical in-house experience – Kiva Han offers patrons the opportunity to be actively involved in each process of their coffee journey. From the hessian sacks of green beans that line the roasting areas, to our state-of-the-art air roasters, customers can touch, smell and taste roasting transformation that is usually hidden away in commercial warehouses.